Local, National, and Regional Climate Change Programme (LNRCCP). The study evolved from an initial directive to examine transboundary groundwater flows in the Arabian Peninsula to an exploration of the Water-Energy Nexus (W-E Nexus) in the region. The W-E Nexus is constituted by the interconnectivity of water-energy systems, such as energy needed for the desalination, treatment, and transportation of water and waste water, as well as water needed for energy extraction and production. By its nature, the W-E Nexus constitutes a set of interactions, tradeoffs, and system balances among its component pieces, which makes its analysis challenging and not necessarily straightforward. 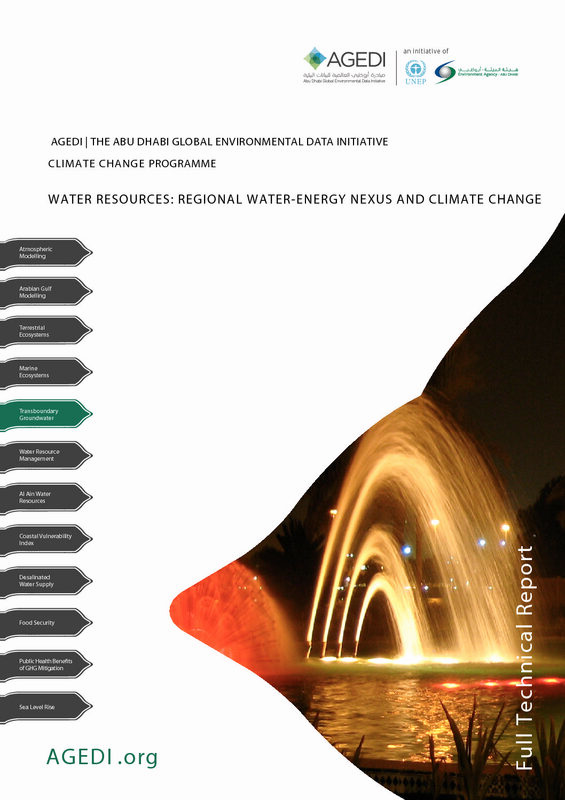 The work presented here provides a relatively high level analysis of the W-E Nexus for the Arabian Peninsula region while including considerable detail regarding sources, demands, and costs of the water and energy components.